The Victoria signaller brought the train to a standstill. 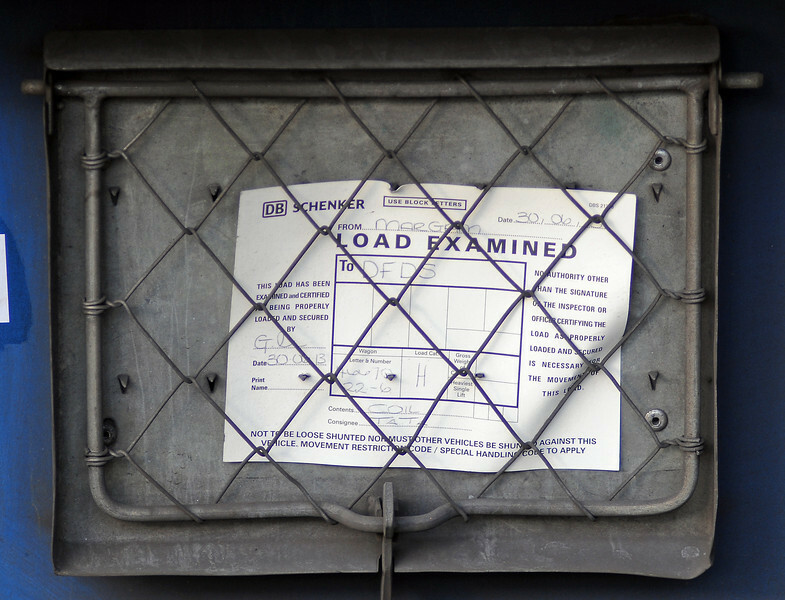 This Load Examined card on one of the wagons identifies the load as coil steel, the shipper as Tata and the customer as DFDS, presumably the Danish ferry and freight forwarding company. I can't quite believe that the wagon was loaded on June 30th and only attached to a train eight days later.